Yes, you read that right, a cocktail art gallery is about to open in Auckland this November for five days only. The legends at Bombay Sapphire who have brought you some of the best pop-ups around town are at it once again. This time they’re taking over The Glasshouse in the new Morningside precinct for an art show like no other. The Living Gallery is an interactive exhibit all about, you guessed it, creativity and cocktails. Keeping good company, the show will be centered around four exclusive drinks crafted by some of the best cocktail bars in NZ. We’re talking the likes of Auckland locals Parasol & Swing and Bedford Soda & Liquor. Joining from the south will be Queenstown residents, Yonder and Wellingtonians, Forresters Lane. For the last month, these venues have been stirring up some creativity with uniquely crafted drinks that challenge everything we know about gin. Beyond your classic G&T, hit up Bedford Soda & Liquor to try the Mayflower, a mix of fresh, floral notes like gin and St Germain, peach bitters, orange bitters, and thyme. Leading up to The Living Gallery, you can satisfy your gin cravings at any of these venues. Serving up some cocktail magic, these mixologists will be taking you on a gin journey around the world from the heritage flavours of Italy to a gimlet reminiscent of fresh New Zealand pine. Each cocktail will have an exciting sensory element to accompany it. What this means you ask? 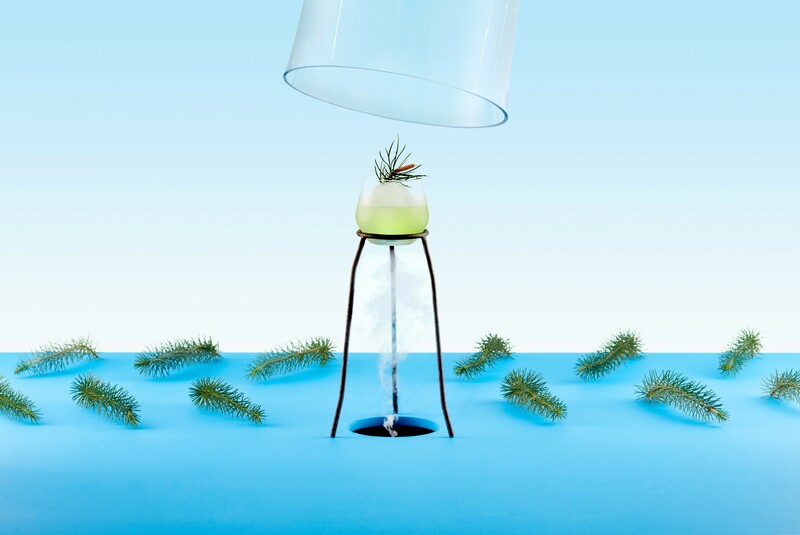 Infused with pine sherbet, Glasshouse Gimlet will be paired with a botanical aroma experience. The Tuscan Martini will trick your taste buds, complemented by a savory and sweet garnish station. These are full on Harry Potter vibes and we’re all about it. Complementing each of the exclusive cocktails, event creatives The Concept have designed interactive displays - think tonic taps built in to the walls and smell jars to get your taste buds going. At the heart of the event will be an evolving art exhibit curated by the artist in residence, Harris Keenan. Inspired by Bombay Sapphire botanicals, the piece will evolve over the five days, you’ll even be able to leave your own mark on the masterpiece. This is truly a creatives wonderland. Backed by the beats of Auckland’s best DJ’s, you’ll be sussed whilst devouring some equally creative local Morningside eats. It’s a play on all the senses, met with colourful sights, good music and fresh summer scents and tastes. Get those Boomerangs ready, if you’re looking for the ultimate in gram-worthy drinks, this is the place to be. Whether you’re a creative human or just love a good gin, this pop-up is worth popping in to before it’s gone. Tickets are on sale now, so don’t live with regrets and get in quick. You’ll thank us later. Click here to grab your tickets before they go! Editor's Note: This article was produced in partnership with Bombay Sapphire. To find out more about who we work with (and why! ), read our editorial policy here.